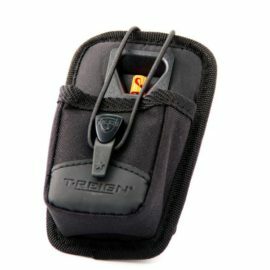 Pro Holster is an open-top protective case for devices such as two-way radios, GPS devices or small cameras that are relatively robust. Attaching your gear to the Kevlar® cord is quick and straightforward and an overlapping hook and loop back attachment allows the Pro Holster to be secured to belts or wide shoulder straps. As with the Pro Case, it features a patent pending access / closure design for single handed use.